Julian Assange has admitted his preoccupation with Edward Snowden’s case has resulted in “over-delegation” in his WikiLeaks Party as five members announced resignations just weeks before the Australian elections. "I made a decision two months ago to spend a lot of my time on dealing with the Edward Snowden asylum situation, and trying to save the life of a young man. The result is over-delegation," Assange told Australian ABC News. Assange, still held in the Ecuadorian embassy in London, made the statement in response to Leslie Cannold’s resignation. Author and ethicist, she was second on the party's Senate ticket and was supposed to replace the whistleblower, should he win the seat in the September 7 elections. "As long as I believed there was a chance that democracy, transparency and accountability could prevail in the party I was willing to stay on and fight for it,” she said in a letter of resignation. But she said there were also "some very serious problems" and that is why she felt she had to resign. Cannold wrote that the party was no longer "a democratically run party that both believes in transparency and accountability”. The former candidate also agreed that the time difference had made communication with Assange difficult. 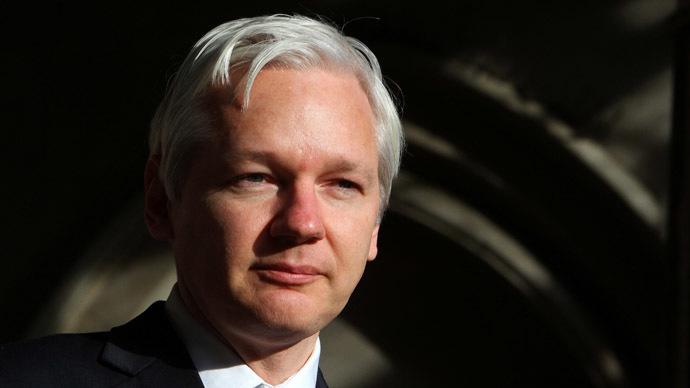 Assange said he hadn't been aware of the internal problems until Wednesday morning. “It's not easy being a party leader at a distance with a nine-hour time delay,” he said. "I went to sleep last night and during the night this whole kerfuffle broke in Australia." "Leslie didn't speak to me to address any issues or concerns. From my perspective, if something is serious you speak to the party leader about it before you speak to the press," he said. 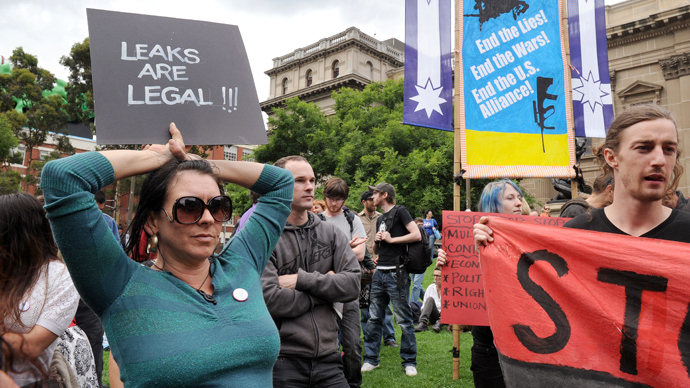 Cannold's decision followed a dispute in the WikiLeaks Party over its preferences in New South Wales and Western Australia, where the party gave its voting “likes” to far-right parties ahead of major parties and strong support to the Greens on its NSW Senate ticket. 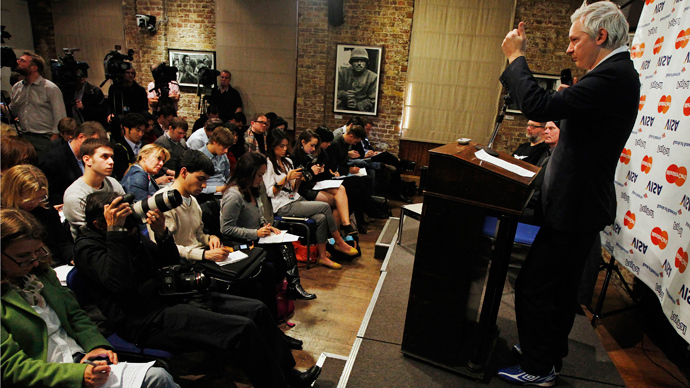 Assange’s party claimed it was an "administrative error" and declared it would review its preference deals. Besides Cannold, four representatives of the 11-person National Council, the party's governing body, and two volunteers have announced their resignations. “Until last Friday, Julian had attended precisely one meeting. He is extremely busy, of course, and has many important things to do. Helping Edward Snowden is surely more important than attending a council meeting,” Mathews wrote. 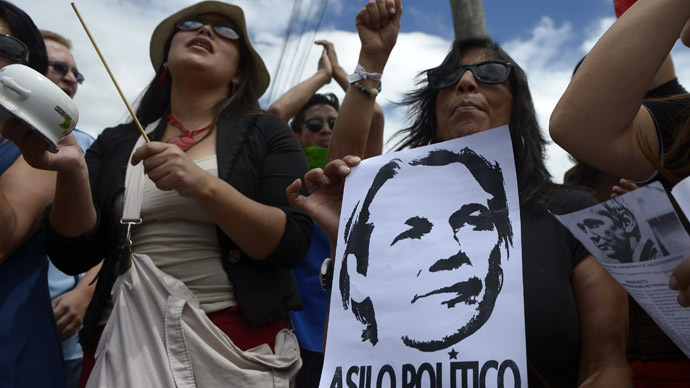 Assange said the party already has a candidate short list to replace Cannold, who predicted that more members may resign. Meanwhile, polls put a coalition led by conservative, Tony Abbott, in the lead for the September election, while Australia's Labor Prime Minister Kevin Rudd is still very much in the running. Assange’s WikiLeaks Party is unlikely to attract the 17 percent of the vote needed to win a Senate seat, Reuters reports.